Am I really going to start this blogpost with the generic: "I was lucky enough to be invited to..." opener? Yes, yes...I really am! So here we go. 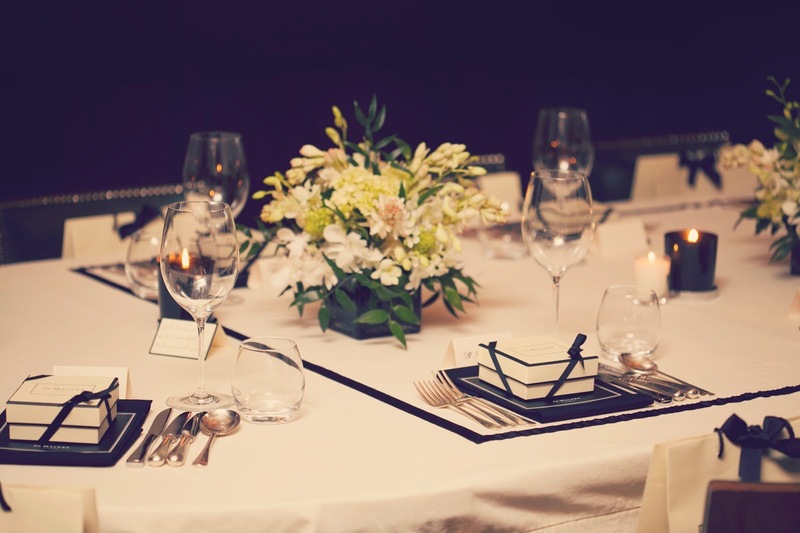 I was lucky enough to be invited to a dinner at The Ivy for a preview of the new Jo Malone fragrance - Tuberose Angelica. And when I say lucky I mean several courses of delicious food including an outstanding honeycomb ice cream and many red wines lucky. Since then I have been earnestly testing out the actual fragrance and trying to prepare an articulate statement about it. My initial impression was that it was "very nice" and "very lovely" so it's taken some time to come up with some better adjectives. But I can't intellectualise it too much - I will leave that to the fragrance geniuses that loiter around fragantica.com etc... - all I will say is that if you love tuberose and white florals in general, you will go nuts for this. It bursts open, showering the wearer in a blunt freshness and dries down very gently to reveal a soft take on amber and sandalwood. Overall, this one is subtle - it's neither too nauseatingly floral nor too dark in the undertones. It has a really nice balance to it that I have become slighlty addicted to over the last few weeks. I say this specifically because that initial burst of freshness is the perfect antidote to hot, humid weather. Just like Marc Jacobs Daisy, Michael Kors, Burberry London or even good ole' Jennifer Anniston (all comparable scents in a way) I feel like this is a perfume that makes you feel clean. Like all things Jo Malone this is designed to harmonise with other scents. The recommended layering option of choice is English Pear and Freesia. The cynic is me rolls her eyes at this suggestion - "let's just buy twice as much, shall we?" and the eager consumer within me laps it up in the hope of securing an alluring, bespoke fragrance. We'll see whether I conform to their layering guidelines. Right now I am wearing it either solo or boosted with Michael Kors for a white floral slap in the face to anyone who comes in sniffing distance. I'll move quickly past the price details - the 100ml bottle costs about $145/AED 685 - and as far as I know is available at Jo Malone boutiques. Oh dear, English pear and freesia is a much loved fragrance of mine, so now I obviously want this one. And I bought a Jo Malone only last week. Oh dear. This is a great review Laura! 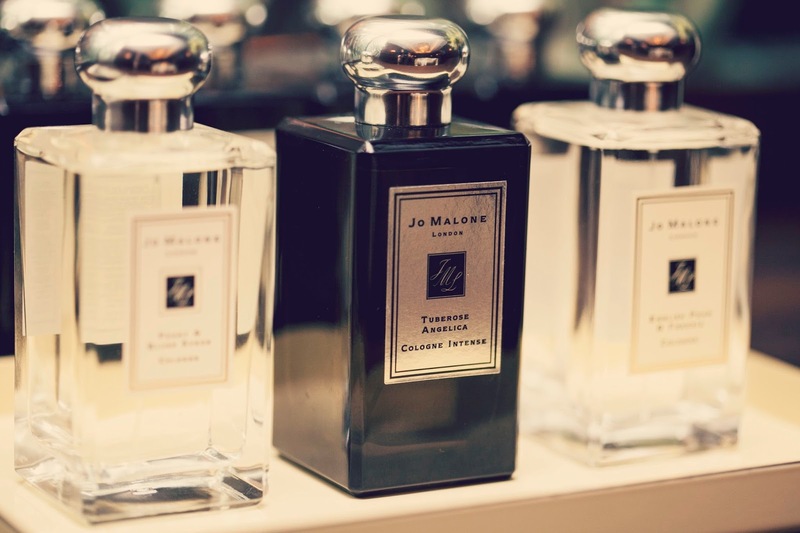 So much so that you've made me want to run to Jo Malone to try it tomorrow (and buy it!) fragrances are hard to describe because sometimes there are just no words! I love Jo Malone - definitely going to go and smell this! My favourite is actual Peony and Blush Suede, I got the free sample and fell in love - however the boyfriend says it smells like old lady. Oh well! I took one of many whiffs of English Pear whilst trying on wedding dresses. It was delicious. Jo Malone is all the rave right now! Its so amazing how it has caught the fancy of millions! They make amazing fragrances no doubt! :-) I love Orange blossom cologne! I'm still a jo Malone virgin! I've always loved a sniff but never took the plunge. It's about time I did! I love the Jo Malone scents, great photos here too. It has to be Blue Agave & Cacao, however in the summer I tend to go for White Mint & Jasmine during the day & then I mix it with the Blue Agave at night! Honeycomb icecream and lots of red wine sounds like a perfect evening! This sounds like a beautiful fragrance and perfect for the hot weather. I sampled the peony and blush scent the other day, and it was gorgeous - it's on the top of my wish list! This looks like a fabulous event, and so many lovely treats! Must try this one as I love florals. One of my favourite Jo Malone perfumes is Wild Fig and Cassis but I hardly wear it because it's such a particular fragrance that I know is not to everyone's taste! 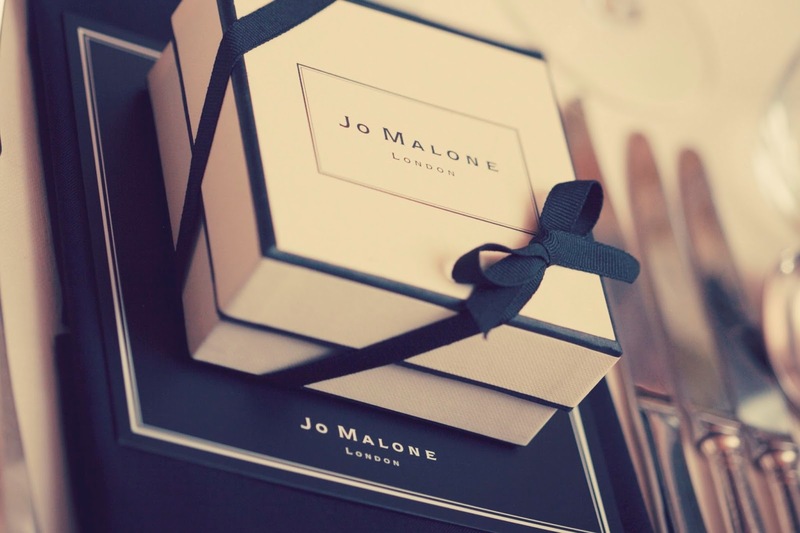 I've never really tried Jo Malone fragrances, but if they're as good as the candles I'm in! I know exactly what you mean. Describing perfumes is anything but easy. and it is also so personal how a particular fragrance makes you feel! I recently bought White Jasmine and Mint and it's <3 Sooo refreshing! I always enjoy the simple, yet elegant packaging of Jo Malone lines. I really like their candles, they make such simple yet lovely scents. Love Jo Malone - though I am more of a fan of their candles then perfume. But I might just have to make a trip especially to test this new one out! I need to smell this. I'm usually quite picky when it comes to fragrance but I have never found a jo Malone fragrance I don't like. My favourite has to be pomegranate noir. I always go back to it. 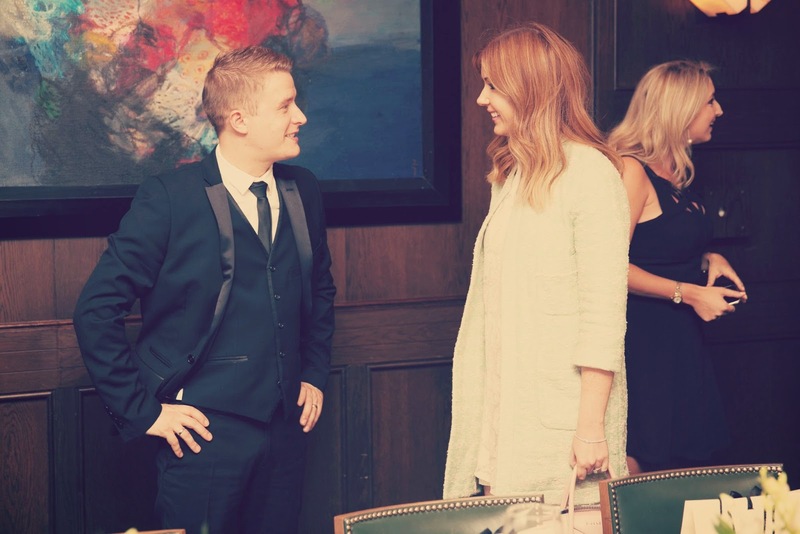 This event looks so glamorous and lovely. I love Jo Malone fragrances. The Kodi Remote. As soon as after completing over jobs, Kodi for iPhone The steps in this guide or the various other overview. Currently go to bluestacks Homepage All applications Download Snapchat for PC Unique Features of Snapchat that will make you junkie with it.